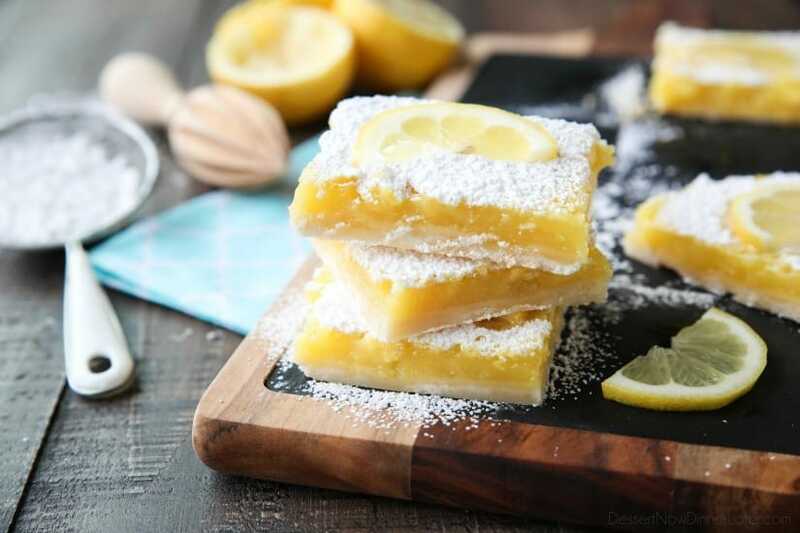 Lemon Bars - Dessert Now, Dinner Later! 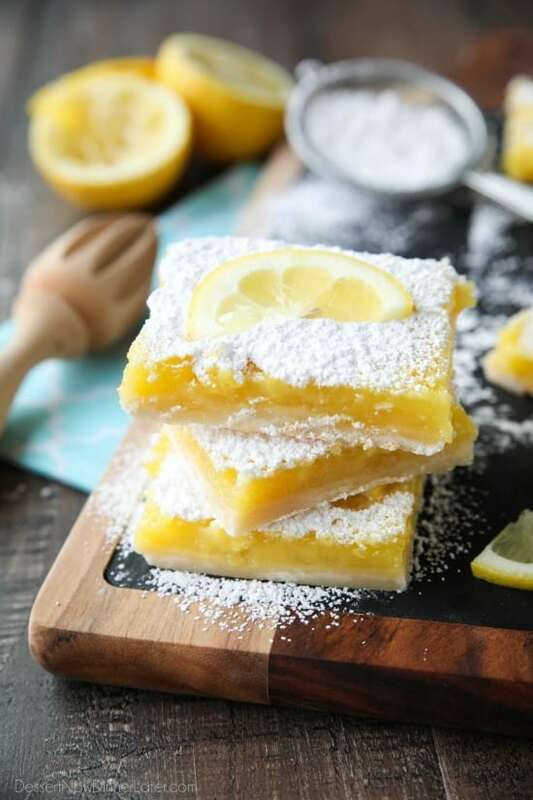 These classic lemon bars are extra tangy, perfectly sweet, and super easy to make. 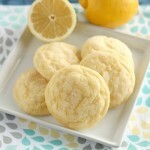 This is the ultimate lemon lovers’ recipe! 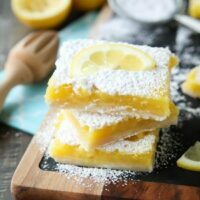 Today we’re going back to the basics and I’m sharing my version of a classic dessert: Lemon Bars! 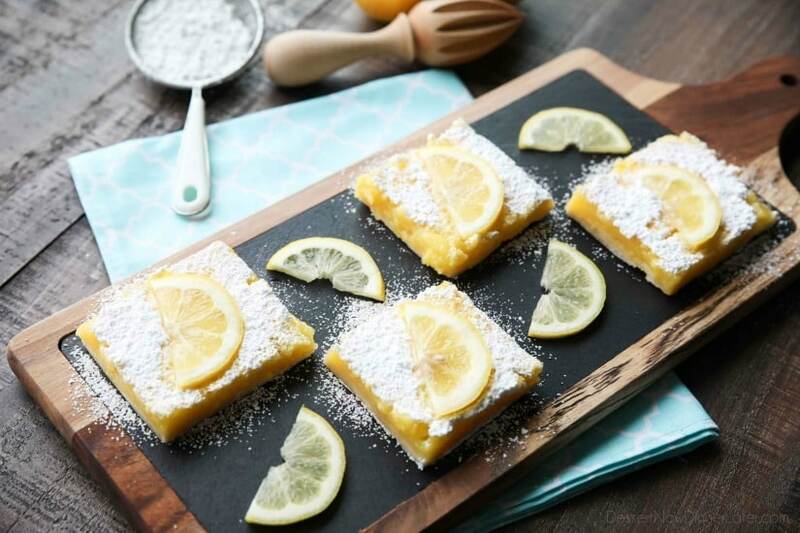 This lemon bars recipe is nice and tangy with just the right amount of sweetness. I love my lemon desserts to make me pucker a little bit. I love that citrus flavor! 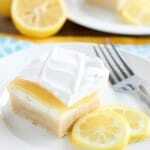 A lot of lemon bar recipes use lemon juice. That’s a given. My recipe, has a bit more juice than most recipes, and some zest to give it an extra lemon-y flair! There’s no doubt about it. 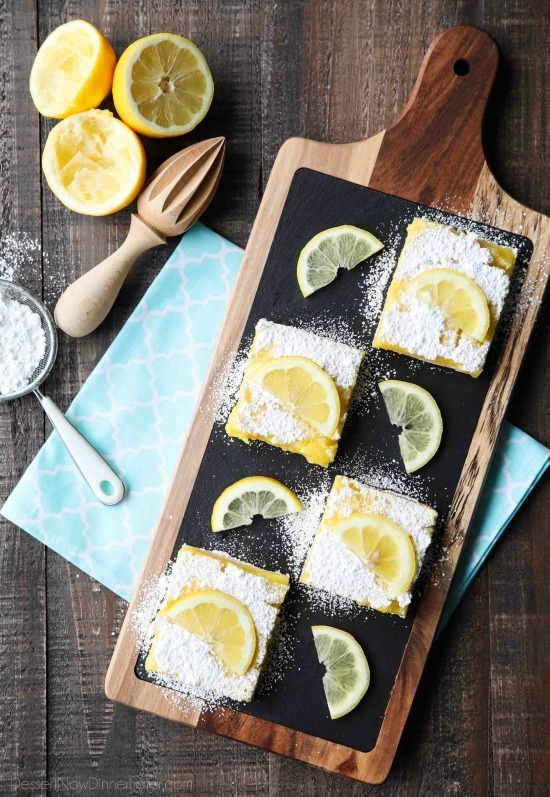 These are LEMON bars. 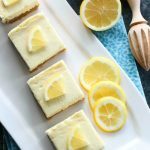 I’m a sucker for lemon desserts anyway, but to get a pure lemon dessert like these lemon bars, is heaven in my mouth. The creamy lemon curd tickles my tastebuds! Love it! I can’t believe I haven’t shared my recipe with you by now! 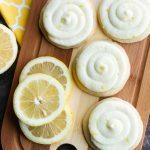 If you’re looking for more tangy lemon desserts, try my Soft Baked Lemon Cookies, Lemon Cheesecake Bars, or Lemon Sugar Cookies. So much lemon goodness to go around! Enjoy my friends! To make the crust: Combine the flour, powdered sugar, salt and butter in a food processor. Pulse until mixture resembles fine crumbs. Press into a greased 13x9-inch pan and bake for 18 to 20 minutes, or until golden brown. Meanwhile make the filling: Whisk together the sugar and flour in a bowl. Add the eggs, one at a time, whisking well after each addition. Add the zest and lemon juice. Mix until everything is smooth and combined. Pour filling over hot crust and return to oven to bake for an additional 18 to 20 minutes. When done, the filling will no longer jiggle. Let cool completely in the pan before slicing and dusting with powdered sugar. For best results refrigerate for an hour or two and serve cold. Store leftovers in the refrigerator. I love lemon bars! These look extra delicious and are making my mouth water. Pinning for later!